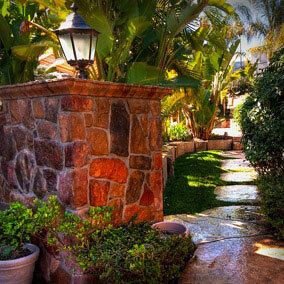 Let us help you create your own personal backyard getaway. Our rock landscape and swimming pools can also include a range of custom pool options such as rock swimming pool slides, rock landscapes in and around the swimming pool, rock waterfalls, pool decks, and more. Your Dream Swimming Pool is just a Phone Call away! Bringing Adventure to every-day backyards is what we do. 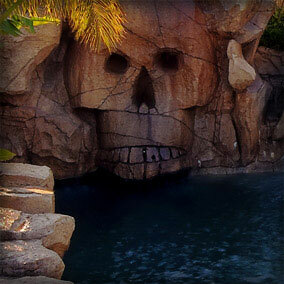 Artificial Rock Swimming Pools, Landscapes, Waterfalls, Slides, Landscapes and More! Artificial rock repairs, swimming pool slide reseals, and bead blasting efflorescence good as new. 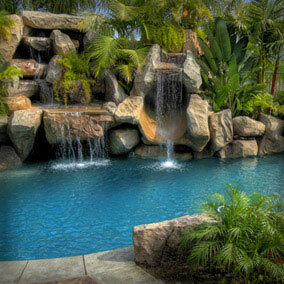 Rock, swimming pool, spa, concrete deck, rock textured pool decks, and any other rock landscape repainting. 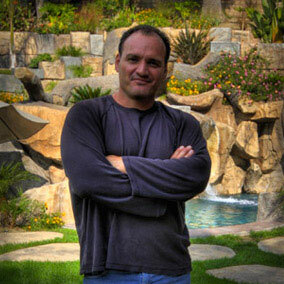 Let expert rock pool designer, Eric Ray, provide valuable consulting services on your next project.